Do you have a reception area, bar top or waiting room that requires a bit of brightening up? Do you have a restaurant or cafe with tables that you’d like to make look a little more inviting? Then we may have the perfect solution for you! Flowers are a great way to lift moods, relieve stress and lets be honest, who wouldn’t want customers and staff alike to feel a little bit lighter having been around a beautiful arrangement of flowers. 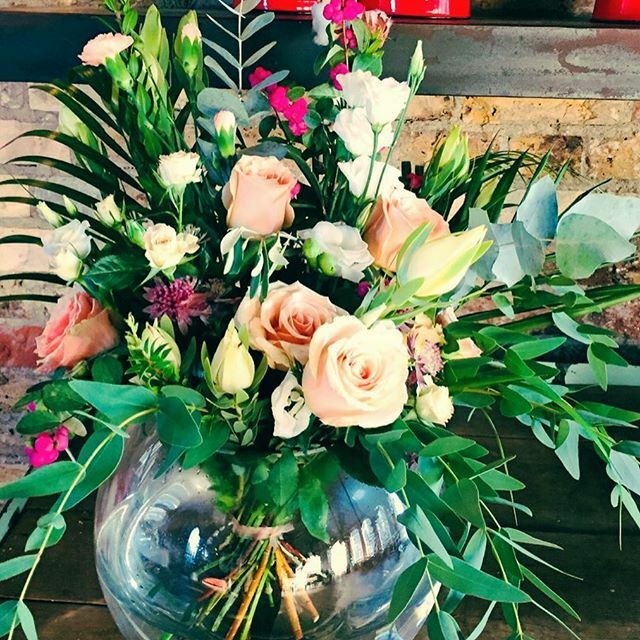 We offer a series of tailor made packages for businesses in the local area, we can provide smaller bud vase or jam jar arrangements starting from just £4 a vase or larger arrangements to create a lasting impact on your customers and staff.